The FCA (Financial Conduct Authority) introduced on the 1st of December 2016 a series of new rules applicable to Price Comparison Websites (PCW) displaying High-Cost Short-Term Credit (HCSTC) products. While rules and more control can be good as there is a lot of spam in this industry, I would like to openly discuss this new set of rules as I feel it does not solve yet again the real issue and does not target the worst actors of the market. While PCW are here to serve customers and help them search for what they are looking for without misleading them (and I think the previous set of rules was good enough for that), websites will not magically appear out of nowhere for free. In concrete terms it must be a profitable business. How do PCW generate revenue? Mostly, they get a commission by sending leads to lenders and get paid only (in most cases) when a loan is issued. So the websites are already taking the risk to send customers to a lender that will never issue any loan - or very few. This is a tough optimisation and this is why in some cases the ordering of the lenders is based on commercial terms. For instance, some lenders want to get more visibility and will accept to pay more to be placed on top of the list. Is that hurting the customer? Actually there is absolutely no evidence and data would even show the opposite. Indeed, looking at my own statistics, the volume of clicks received by a lender is absolutely not correlated to its position. The main reason I observe is the online presence of the lender. The more a lender is listed on comparison websites, the less click it will likely receive since it is already known to most visitors - and conversely. Then, another issue PCWs are facing is that most lenders don't bring you any income, so why would you give them more visibility than others. Based on the new FCA rules, we should place them higher if they are cheaper. Fine, I will just get rid of them and my comparison site will only list lenders that bring me money. How is that becoming helpful for consumers? Since I worked in the industry for a direct lender, I also know for a fact that comparison websites are responsible for a tiny proportion of the volumes. Most are generated by lead generators and pingtrees (more details about pingtrees). Where am I getting at? On those websites, you apply to multiple lenders with one single application that is sent to them following the logic of a tree/branches. A lender is placed at the top of the tree as it will pay the highest price for a specific applicant (e.g male, 40yo, employed...) and will have the chance to choose whether or not to buy that application. If they don't want it, it goes to the second highest bidder... and so on. You see the commercial logic? Well, how come those guys are allowed to order lenders based on their own commercial interest whereas PCW can't? Where is the fairness there? It is not ! Sure, why not. but why enforce that? Isn't it the website choice to decide how their interface works. Why kill creativity by enforcing a unique rule everywhere? On allpaydaylenders.com you can search independently by loan amount or loan term. After the APR, please welcome the TAP. While this is at least a much better way to compare prices, the issue for PCWs is that it adds a lot of complexity. Since each loan amount and each term have their own TAP, you need information for each case and this is what makes it very hard to maintain in terms of data - that means hundreds (if not thousands) of tables to manage and the data must be up to date. Even more complex as lenders keep changing their products, APR... every now and then. So this is going to be a white elephant. For a modest website like Allpaydaylenders, this is technically and humanely unmanageable. Keeping the consumer in mind, since most lenders are using the market cap prices, the TAP will be exactly the same for everyone.. so price is definitely not the most interesting criterion to order results. Allpaydaylenders do not have the technical ability to use and maintain tables using TAP. However we came up with our own metrics to compare loans on the same basis: interest per £100 per day. That is the daily interest you will have to pay if you borrow 100 quids. Thank you FCA, you are allowing PCWs to keep some banner advertising. Another indication of their ignorance of online businesses. Most of these price comparison websites are affiliates. That means they derive most of their earnings from sending leads to the lenders, not from other types of advertising. Sure, we have some complementary revenue sources but as their name suggests it is ''complementary''. For Allpaydaylenders, that represents 2 to 4% of our total revenue only. This is actually the part we've been cutting the most since it distracts people from the main point of the site: lenders comparison. So, if this tiny ''liberty'' was meant to compensate for other absurd rules, sorry but that will not make up for anything. These are just crumbs. All is about what you put behind ''prominently''. 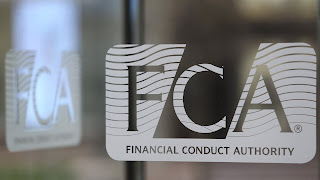 While it is quite clear that comparison websites are currently (not in the future based on what the FCA will acheive with those new rules (see below ''So this is what will happen'') the distinction will become more and more blurry. If the FCA cares so much about protecting consumers, how can they leave people at the mercy of pingrtees? The first thing to do is extremely simple: disclose clearly and prominently they are not lenders. This is absolutely NOT the case today! See an example here: nice tiny letters below the Representative example. Nobody is reading that and yet the site looks like a direct lender's website. - since PCWs will not be able to survive by displaying all the lenders according to the new rules, they will only display a few lenders they earn money with and get rid of the others (unless lenders get forced to be listed on ALL licensed PCWs - maybe this is what the FCA should enforce if they want an extensive range of website and opinions). - at the end of the year you will have a handful of comparison websites with the exact same listings and the exact same layout (a slider to select amount/term). That will make PCW so pointless that consumers will not even compare and just randomly clicks on lenders' names they haven't applied yet - or even worse they will just turn to credit brokers.